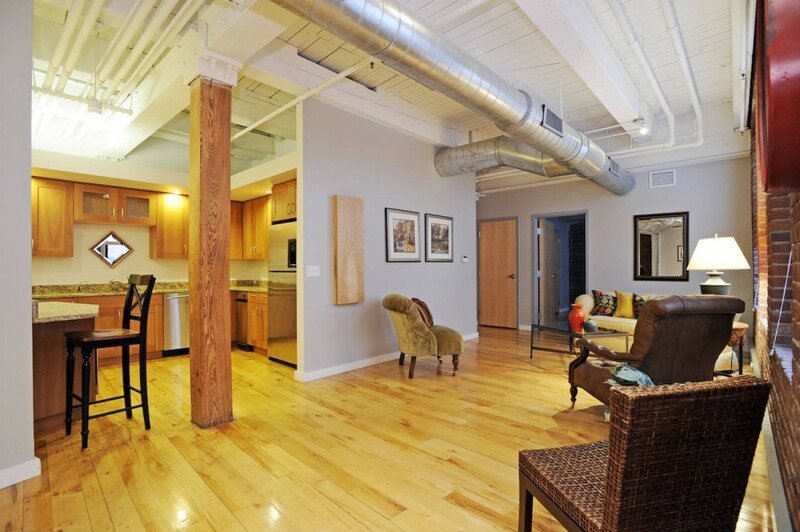 Sensational New York Style, Brick & Beam Industrial-Modern Luxury Architectural Loft is well located in the trendy & chic Leather District. This oversized 1095 sqft, 1 bedroom, 1 bath PLUS huge separate room perfect for: den, study, office, nursery OR 2nd bedroom offers a flexible floorplan. Featuring a custom-made glass garage door for functional divisioning of the living area. Housed within two late 19th Century brick post & beam structures originally built to serve commercial purposes for the Textile Industry, this home showcases 12' ceilings, wide plank maple flooring, tall windows & exposed beams & brick. A stylish kitchen with stainless steel appliances, granite counters w/ breakkfast bar & cherrywood cabintry is open to the living area. Large Master bedroom with high ceilings & oversized windows has full-width closet, luxurious granite bath is spa-like with Restoration Hardware touches & a Jacuzzi style tub. 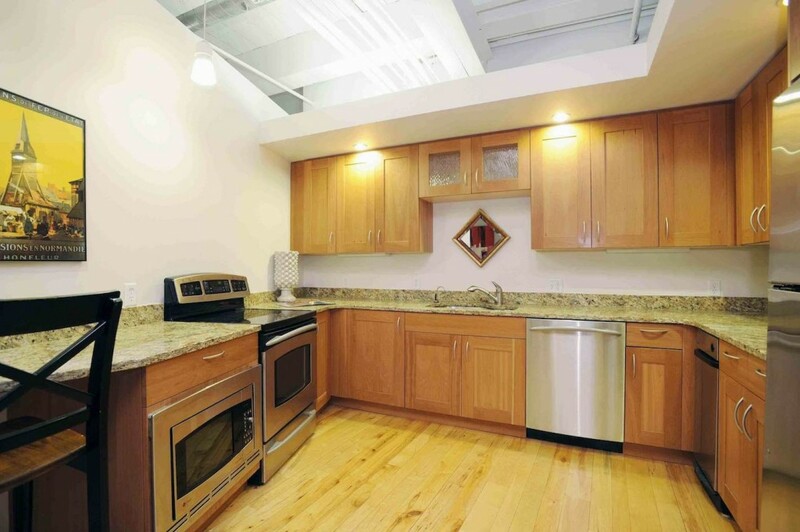 Low condo fee of $367, includes 2 elevators, fitness room access, cental a/c, w/d & large private strg locker! Close to Seaport District, Financial District, Transp. Rental garage parking is avail in the area. 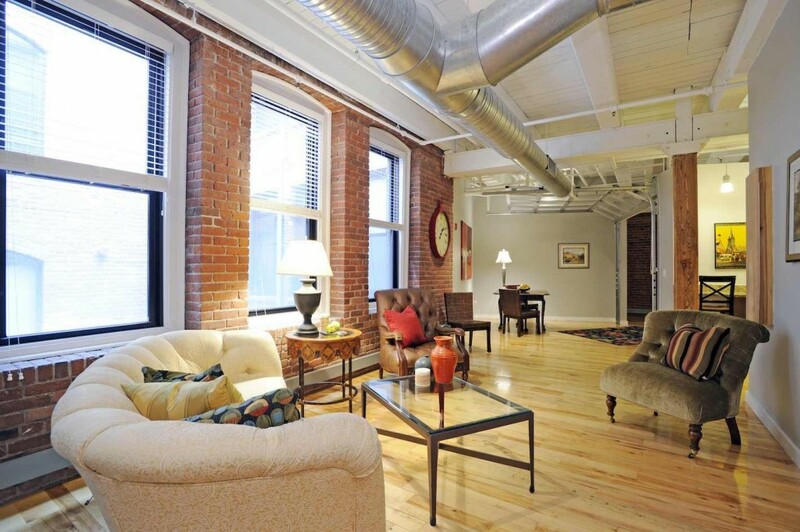 Exposed Brick and Factory Sized Windows are just a few of the unique characteristics of this amazing Beech Street Loft.